Chiropractic treatment is very effective for lower back pain. Low back pain is the most common complaint treated at our Woburn chiropractic office in the past quarter century, so we have a lot of experience! Our goals with low back pain are to get you through the acute phase. Dr. Moramarco can help you get through an episode of low back pain without drugs (which just masks the pain) much more quickly than it would normally take via traditional methods. Most of the time, surgery just isn’t necessary, so try and avoid care from those who “cut to cure.” Chiropractic truly is a safe, effective alternative for finding lower back pain relief. Lower back pain treatment modalities utilized in our office depend on your exact problem. Therapies can facilitate healing by increasing circulation to the area and thereby reducing inflammation. A postural analysis will also determine if there is a postural component to your low back pain. 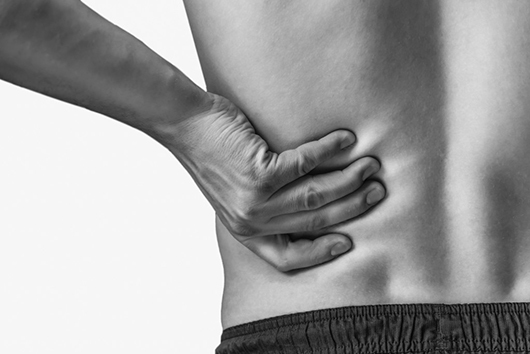 We offer Pneumex unweighted exercise for rehabilitation after an episode of low back pain. Home exercises can also help strengthen the area and change patterns so back pain does not return. The severity of the pain to begin with. How long you’ve had pain. Your age and physical condition. Our goal, as always, is to get you out of pain as soon as possible, and then keep you pain free. Give us a call or contact us online to discover lower back pain relief via chiropractic care.